A delicious dinner recipe, that can be prepped ahead of time! 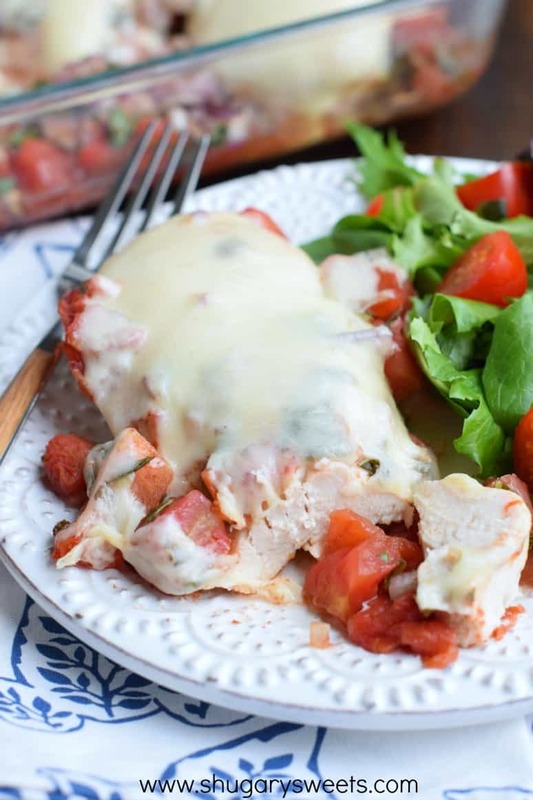 Fresh and zesty, this Baked Margherita Chicken is a crowd pleaser! It’s the weekly installment of “Confessions with Shugary Sweets” today! Seriously guys, I’m not sure why I feel compelled to share some of these things with you, but here goes. Hi, my name is Aimee, and I’m obsessed with frozen margherita pizzas. Like, the cheaper the better, frozen pizzas. Often, if I’m not eating rice krispie treats or snickerdoodle cheesecake bars for lunch, I will stick one of these frozen pizzas in the oven for myself. In my healthier eating 2015 plan, it occurred to me that pizza for lunch probably isn’t the best option (I’m not going to comment though on the cheesecake bars, haha). So, why not make my favorite pizza for dinner? But with no crust, you know, to save some carbs!?! I did overcompensate the “no crust” by adding plenty of cheese. I used sliced mozzarella, but shredded would work fine too! The best part of this dinner (well, besides the fact that it tastes AMAZING), is that you can prep it ahead of time! I’ve mentioned (a million times probably) that I love getting my dinners prepped early in the day. If I’m not using a slow cooker, then I like meals that can be made in advance. Today’s recipe is the perfect meal. I placed the large boneless, skinless chicken breasts into a 13×9 baking dish. I whipped up a quick tomato basil topping and dumped that over the chicken. Cover the dish with foil and stick it in the refrigerator until you are ready to cook. Bake covered. Then remove the foil, top with cheese and bake until melty! I served ours with a nice big salad, but if you feel you want the carbs, serve it on top of some angel hair pasta! 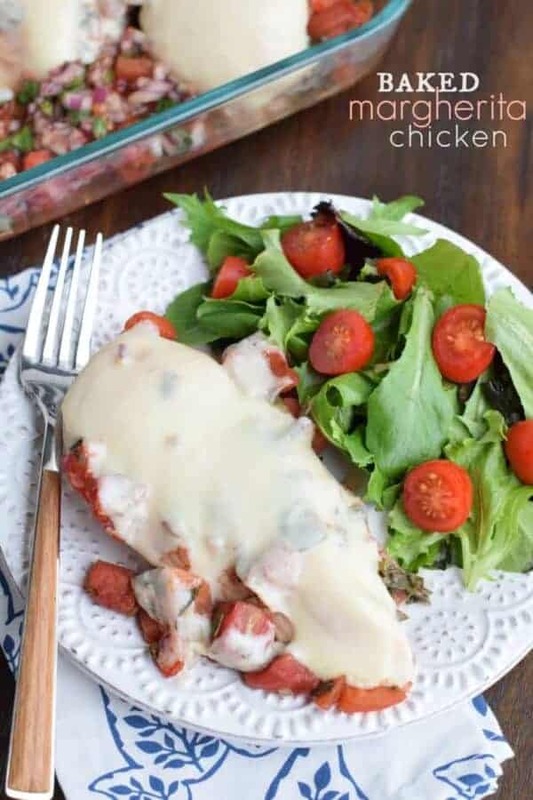 Delicious, easy baked chicken recipe! Prep ahead of time for busy weeknight meals. Combine diced tomatoes, diced red onion, basil, balsamic vinegar and salt in a bowl. Place chicken breasts in a 13x9 baking dish. Pour tomato mixture over top. Cover dish with foil. You can either refrigerate and bake later (within 12 hours) or bake immediately. Bake in a 350 degree oven, covered, for about 40-45 minutes (until chicken is completely cooked, 165 degree with meat thermometer). Remove foil and top with mozzeralla cheese. I used sliced cheese, but shredded would work well too. Place dish back in oven on top rack. Bake 5-10 minutes until cheese is melted. Serve immediately with a fresh salad or angel hair pasta. ENJOY. Love this chicken dinner recipe? 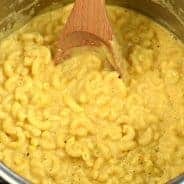 Here are a few more of my favorite recipes…. 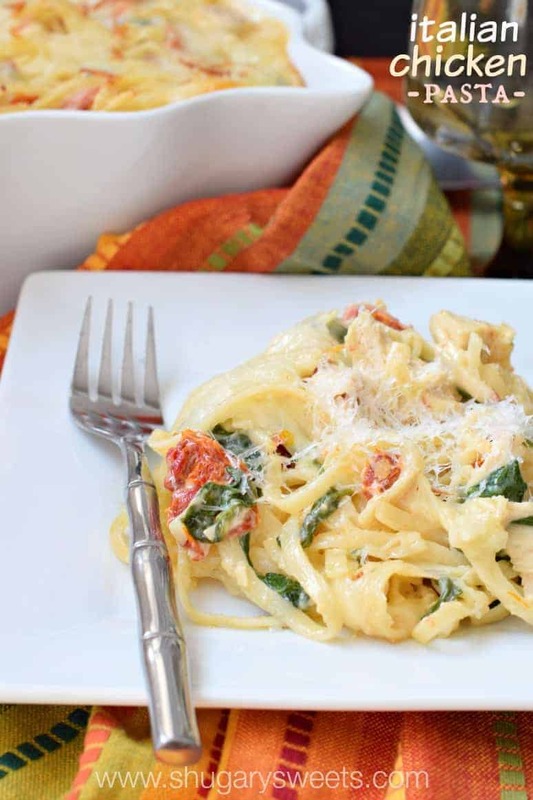 Italian Chicken Pasta: creamy, delicious one dish meal! 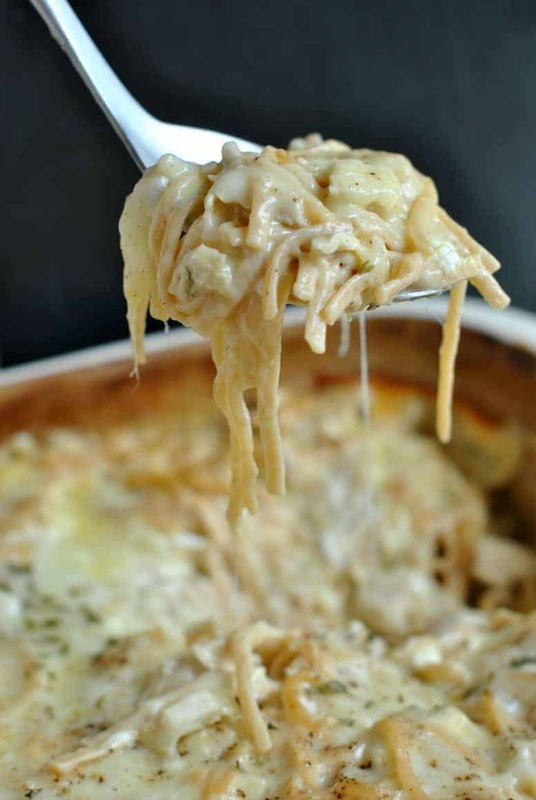 Chicken Tetrazzini: this meal is a family favorite and we make it quite often! 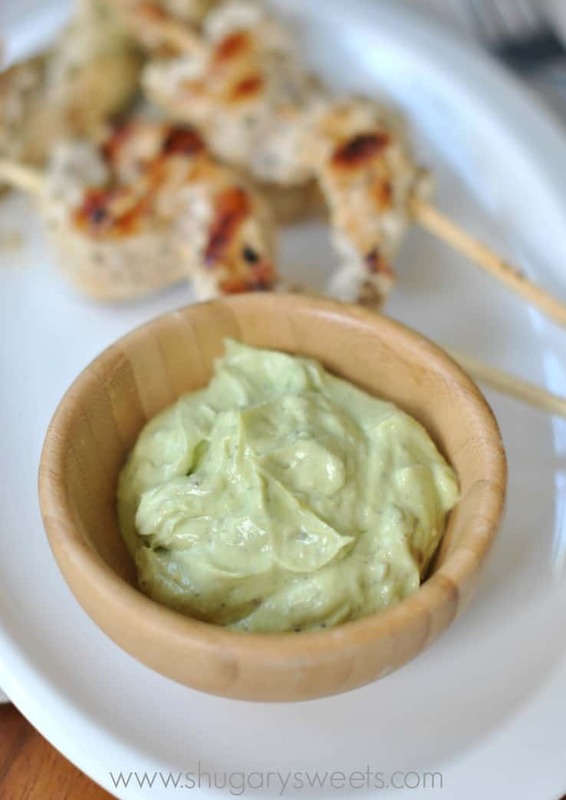 Greek Chicken Skewers with Avocado Tzatziki: keeping it healthy with this zesty, grilled dish! I love cheap frozen margherita pizza too! It’s so good! Ha! And another confession is that I am also HORRIBLE at getting my act together in time for dinner. The struggle is real. I need more make ahead dishes like this in my life. Looks great, Aimee! Ok, I might be REALLY late to the party here, but I just saw your redesign and I LOVE IT OH MY GOSH! SO CUTE!! Now, about this chicken. Confession: I also ADORE frozen Margherita pizzas….so this chicken is obviously happening to my face! Pinned! Awww thanks Taylor. I love the site design too 🙂 Thanks for pinning!! Oh my gosh, you did it – a love affair between chicken and pizza margherita, which I am also obsessed with. Score! I totally love that these can be prepped in advance — what an awesome time-saver for hectic weeknights! Nicely done. I’ve been in a dinner rut lately, and this looks like the perfect meal to snap me out of it! Pinned! I absolutely love a simple Margherita Pizza!! This chicken looks amazing – perfect for a quick weeknight meal or for company! 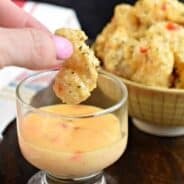 Oh my word, this recipe speaks to me! It says, “make me now”! It’s like… the perfect weeknight dinner. Simple ingredients, few steps = delicious home cooked, wonderful tasting meal! I love it, love it, love it. I know it’s going to be a staple in my house! Great recipe, Aimee! This is a brilliant idea! I love all things Margherita! I need to make this soon. We have a love affair with those easy breezy pizzas too. They are just so easy to throw in the oven. 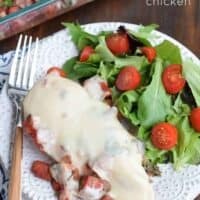 Although I am loving how easy and delicious this chicken is too! We make something similar but different here in the oven too! This looks so cheesy and flavorful – LOVE IT! What an easy weeknight meal! This chicken looks amazing Aimee! Can’t wait to give it a try! I feel ya on the frozen pizzas. But I also crave super fancy gourmet pizza. I just never want delivery. Ever. Is that weird? Nope. Not weird. It’s Digiorno. Hahaha. Margherita pizzas are the best! Have you tried the Amy’s brand pizza? They have the best margherita. 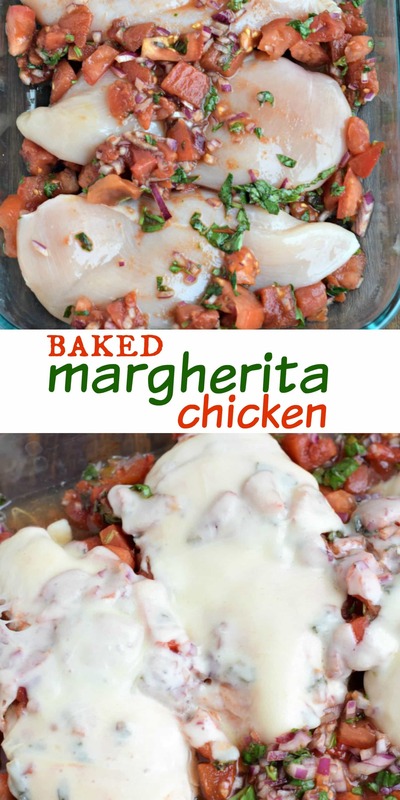 I would also love my margherita flavors baked with chicken. 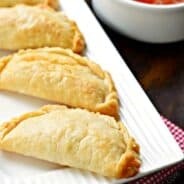 This recipe is perfect for dinner! I get it, Margherita pizza is deeeelish. and so is this chicken!!!! Aimee – What a great way to eat your favorite flavors and save some calories along the way. I love balsamic on chicken. This recipe is something that I am going to make very soon! Wow – this looks delicious Aimee! And thanks for linking to our Sweet & Sour Chicken recipe too! An oven meal is my favorite and so is this chicken margharita now that we’ve tried it! The balsamic vinegar makes the sauce so speciall! Thank you!